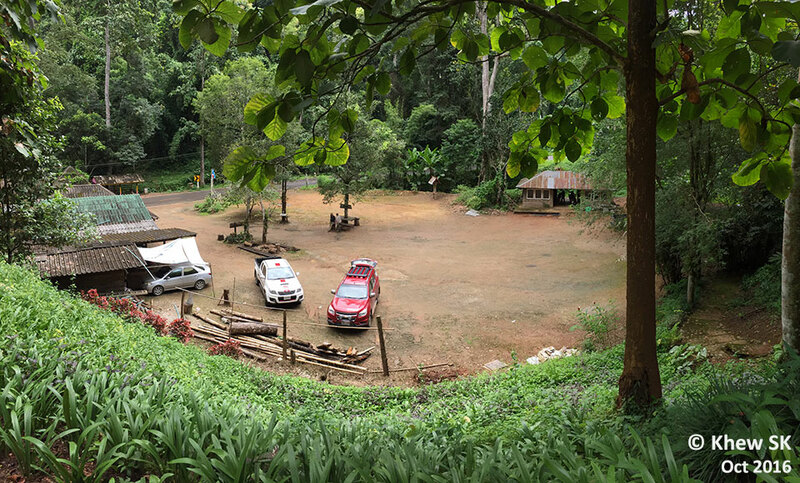 I looked forward with uncontained excitement when I arrived for the first time in 2014 at the now famous "car park" at Chiang Dao. Our resident butterfly guide, Antonio Giudici paid the entrance fees to clear the security gantry - a princely 200 baht (about SGD$8) per person for us "farangs" (or foreigners) for a 3-day pass. 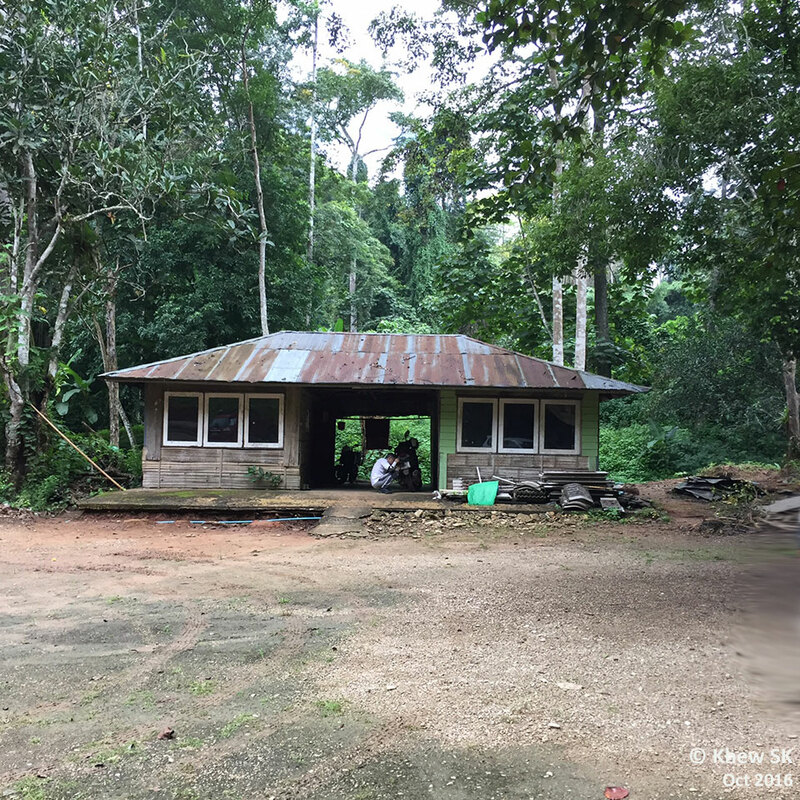 We drove into what looked like an open area surrounded by single storey wooden sheds set up by the park rangers for their accommodation needs. 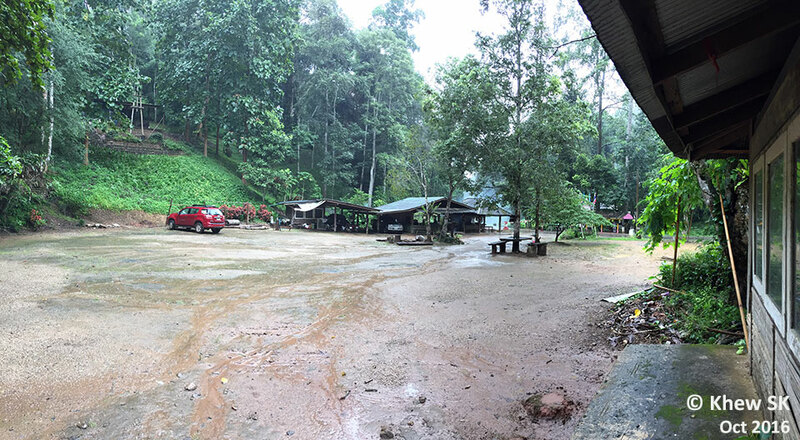 It was back in Apr 2014 when a group of ButterflyCircle members first visited that small dirt and mud carpark area of about 1,000 sqm. 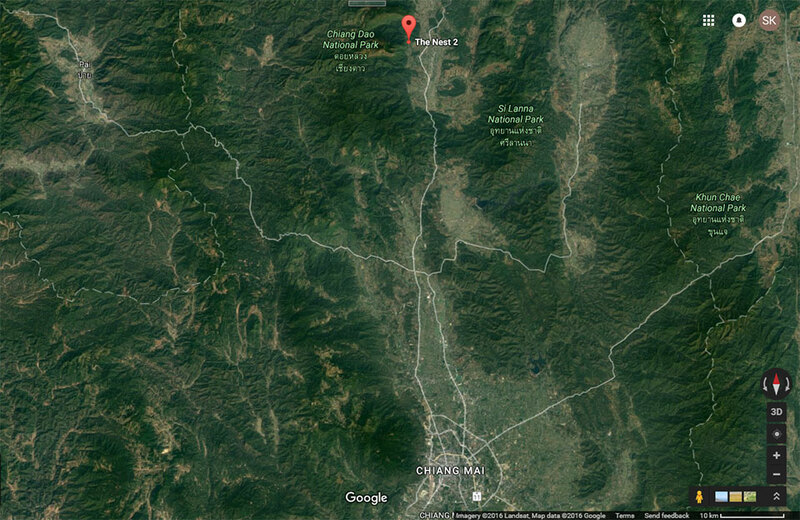 Officially, the location is called Sop Huai Pha Tang-Nalao Forest Protection Unit (as shown on Antonio's car's GPS). 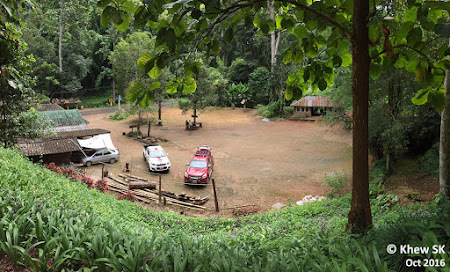 But we just call it Chiang Dao checkpoint carpark for ease of reference. The diversity of butterfly species in just this one small plot of land is amazing! 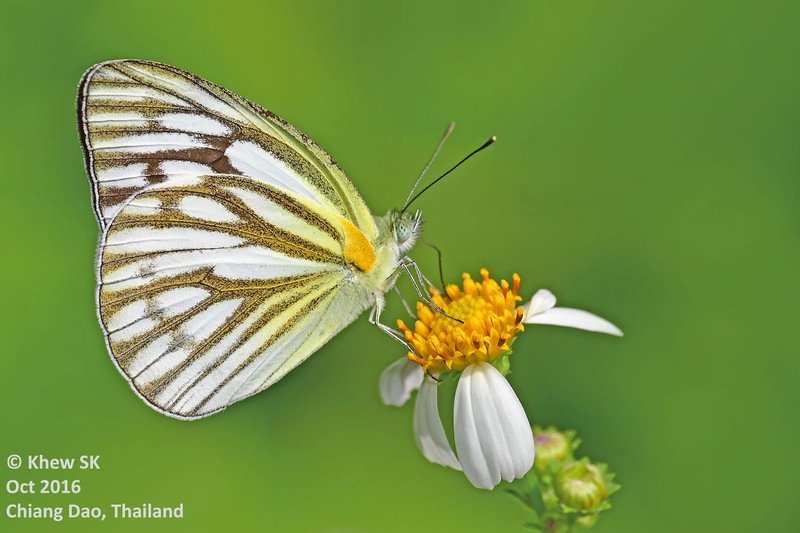 It may be safe to say that over the years, the number of species that have been spotted at this 1,000 sqm patch can easily exceed the whole of Singapore island! Due to the bare earth and mud covering the very spartan carpark, all we needed to do, was to add water to the earth and the puddlers would come in droves - particularly during the dry season months. 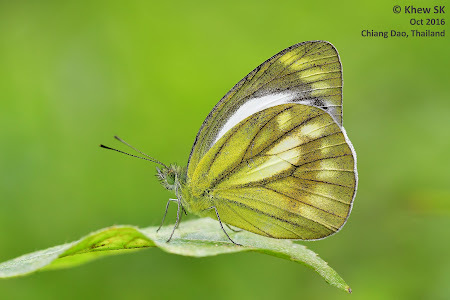 It was such a good area for butterfly photography, that our group of butterfly photographers visited it time and again - twice in 2014, twice in 2015 and recently, in Oct 2016. 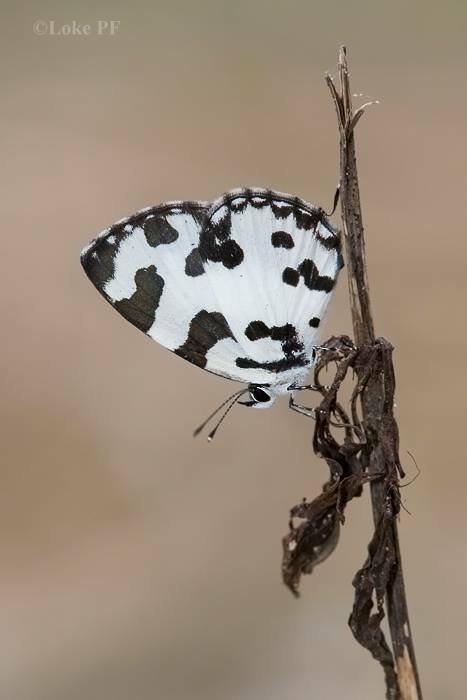 Although for some of us who had visited this place many times, the number of new species spotted was a diminishing return, it was nevertheless still exciting to see the larger and more showy species like the Atrophaneura species (like the Windmills), Charaxes and Polyuras (Rajahs and Nawabs), the rarer Lethe species (the Tree Browns) and many pretty Lycaenidae and Hesperiidae. In the previous years, we stayed at Chiang Mai city and took a daily drive up to Chiang Dao - a distance of just under 100km and took anything between 45 mins and 1.5 hours, depending on the traffic. 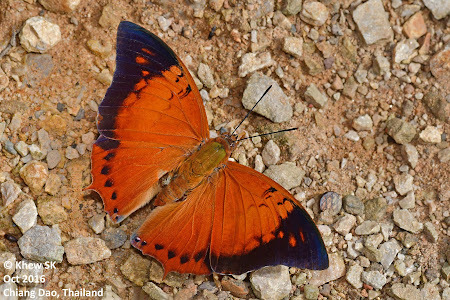 On recent visits, we decided to stay near Chiang Dao instead and then spare ourselves (or rather our butterfly guide, Antonio) the daily dreary drive to and from Chiang Mai. 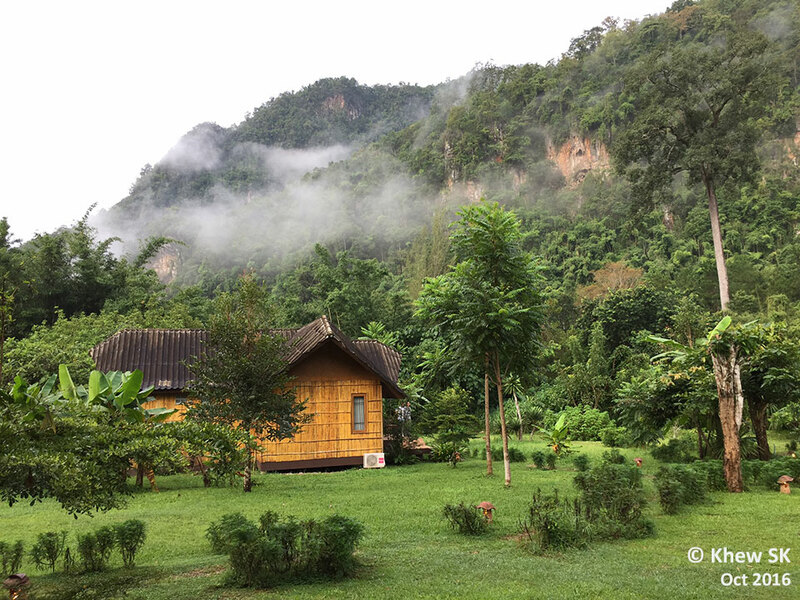 Our favourite "resort" at Chiang Dao is the Nest 2. 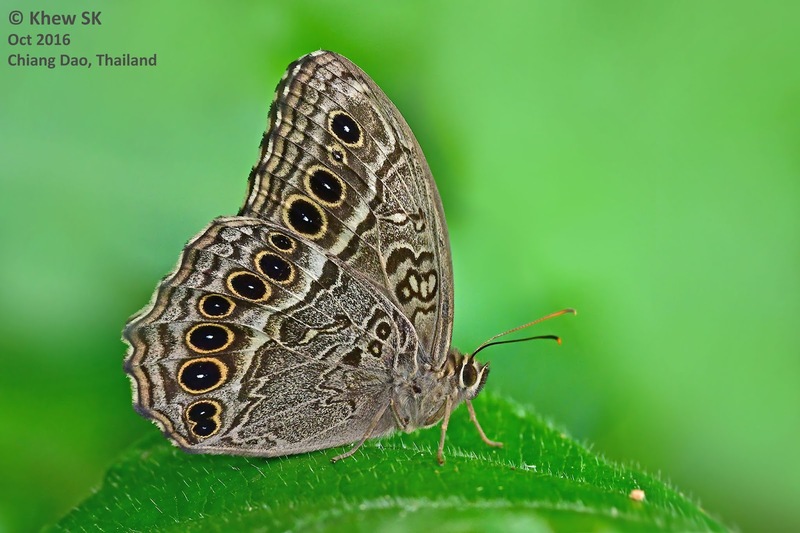 Rooms are clean and decent (though often you may have to share your space with the little critters that abound in this very natural area). 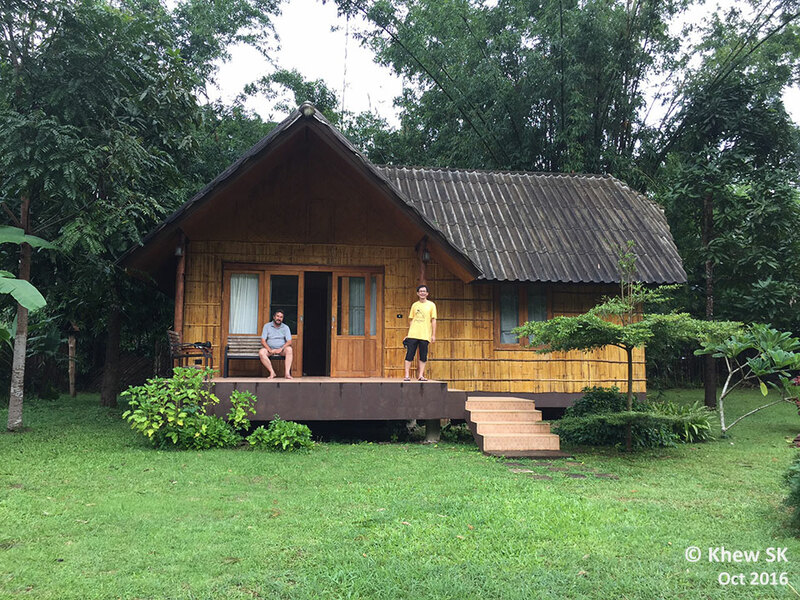 For the city slickers, hot water and airconditioning are available, so there is no need to rough it out. Food is good, though a tad pricey by Thai standards. For more details about Nest 2, check out their website here. Chiang Dao is about 100 km away from Chiang Mai city. The Chiang Dao National Park (now renamed as Pha Daeng National Park) is huge. 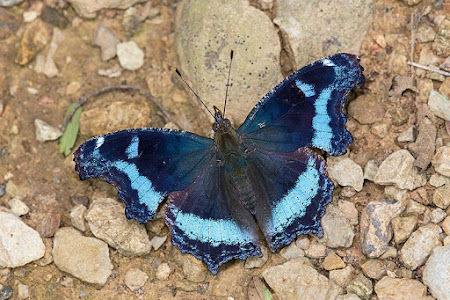 Covering a total area of 1,123 sq km (which is bigger than the whole of Singapore at 715 sq km), the area that we have visited is within the Chiang Dao Wildlife Sanctuary where the highest peak is Doi Chiang Dao (2,175 m high). 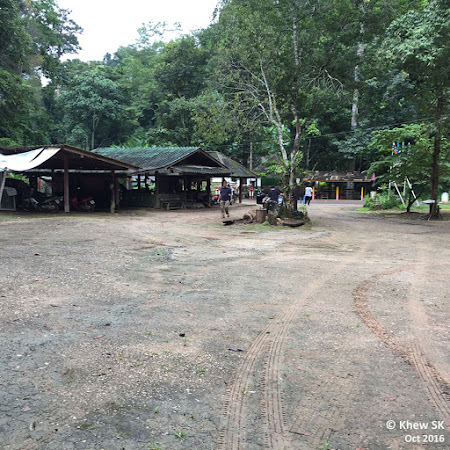 There are currently a total of 127 gazetted National Parks in Thailand. 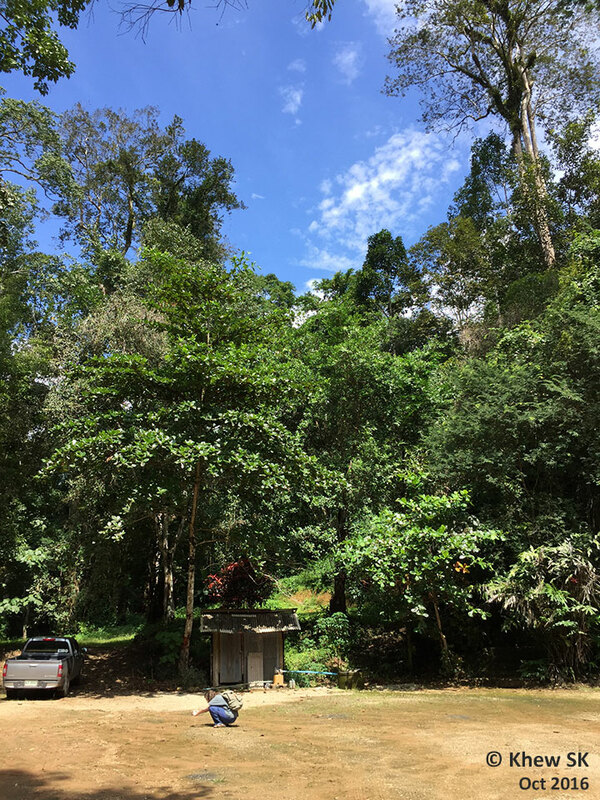 Over 10% of the land in Thailand is protected as national parks under the 1961 National Parks Act signed by the late Thai King Bhumibol. Coming back to our little car park in Chiang Dao, we can imagine the immense catchment areas that butterflies thrive amidst the many national parks in Thailand - thousands of sq km, of which many are largely inaccessible by modern land transport. 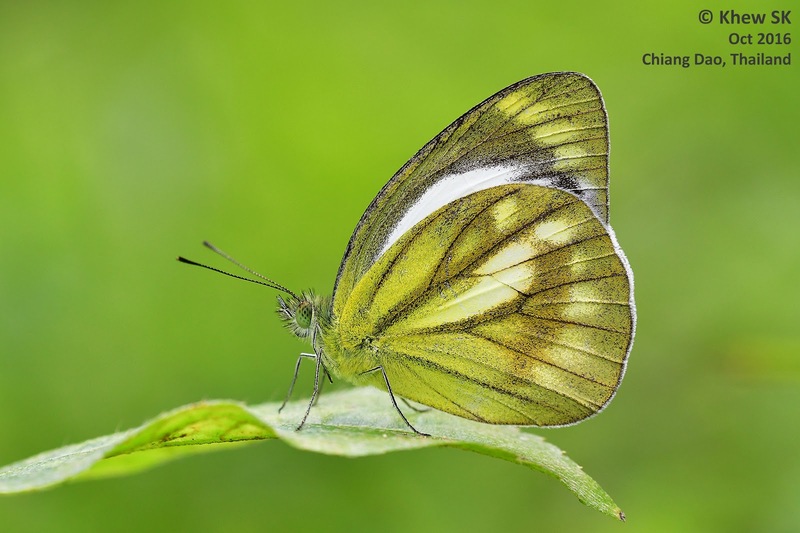 The number of species found at this car park varies at different times of the year, and we have visited the location during the early butterfly season in Apr/May and also the start of the cooler dry season in Sep/Oct. Butterfly species flying around the car park area are mainly the puddlers. 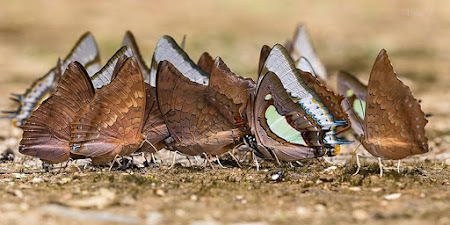 They feed on the moisture and minerals from the damp earth in large numbers, and it is often difficult to isolate a single butterfly to photograph when there are hundreds more individuals jostling to feed at their favourite spots. 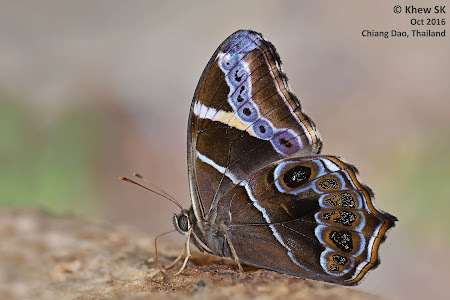 This Oct in 2016, a small group of 4 of us spent 4 days at Chiang Dao, spending our time chasing the butterflies in that small car park area, and also taking a short drive up hill to visit some small tracks higher up towards Doi Chiang Dao. 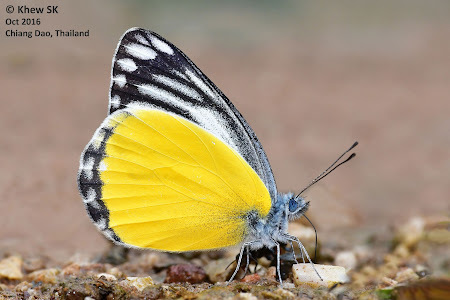 Although the weather was not the most cooperative like we experienced in the past occasions that we were there, the butterflies were relatively plentiful during the short periods of sunny weather. 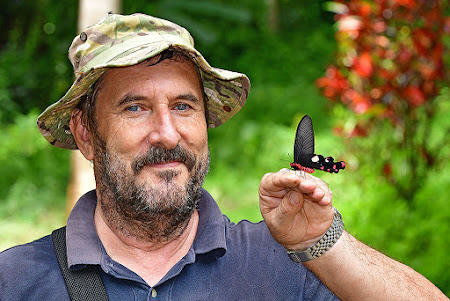 Special thanks to our butterfly guide, Antonio, whom I must acknowledge as the most knowledgeable and accommodating guide, particularly for the English-speaking eco-tourist community. 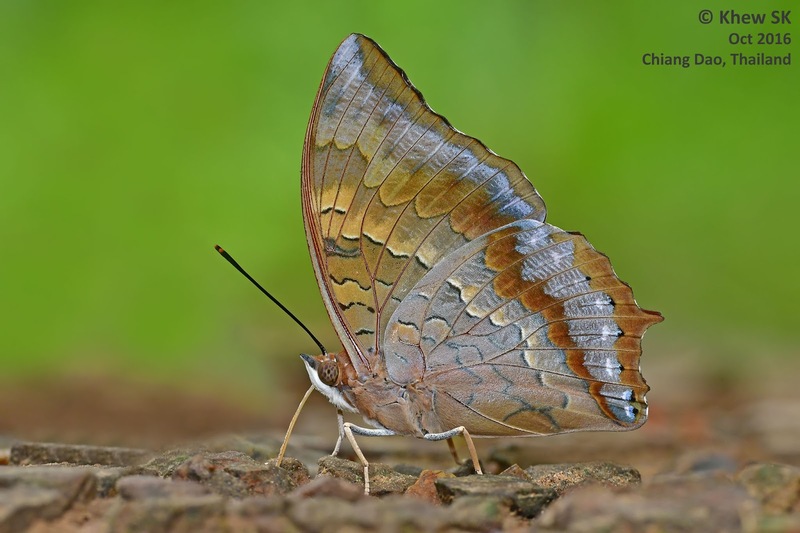 As an accomplished butterfly photographer himself, he has amassed more than 800 species of Thai butterflies, taken in the field. His knowledge of butterflies has deepened since I got to know him several years back, and he has begun the journey of setting up an online resource for butterflies of Thailand. 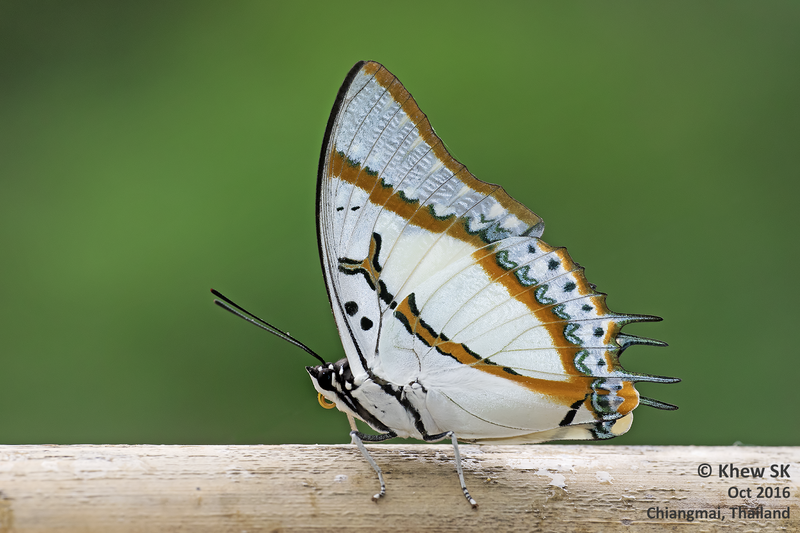 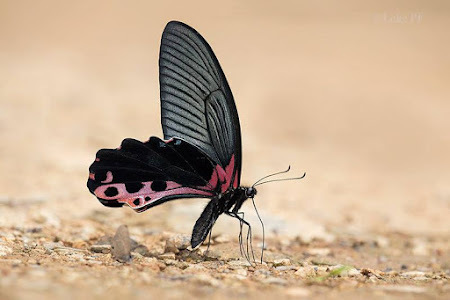 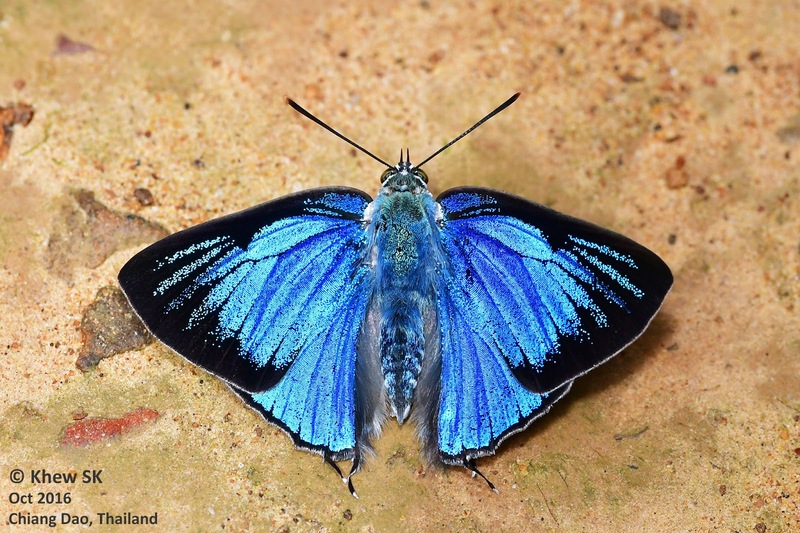 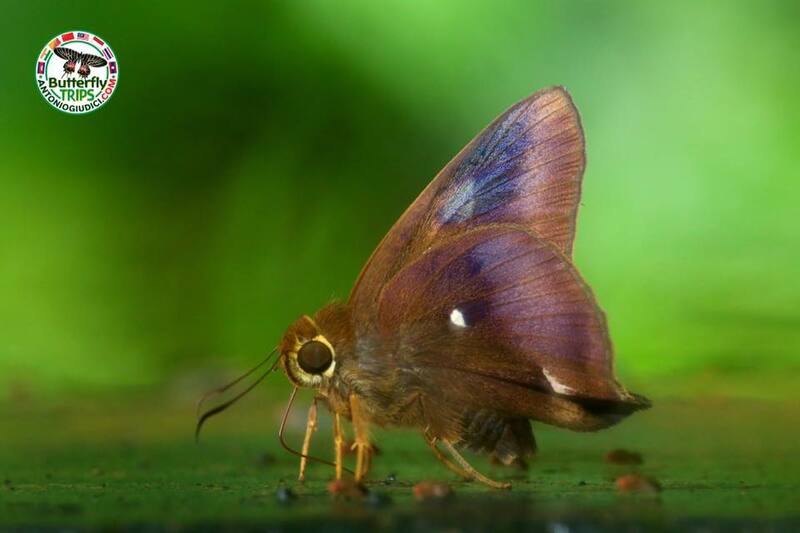 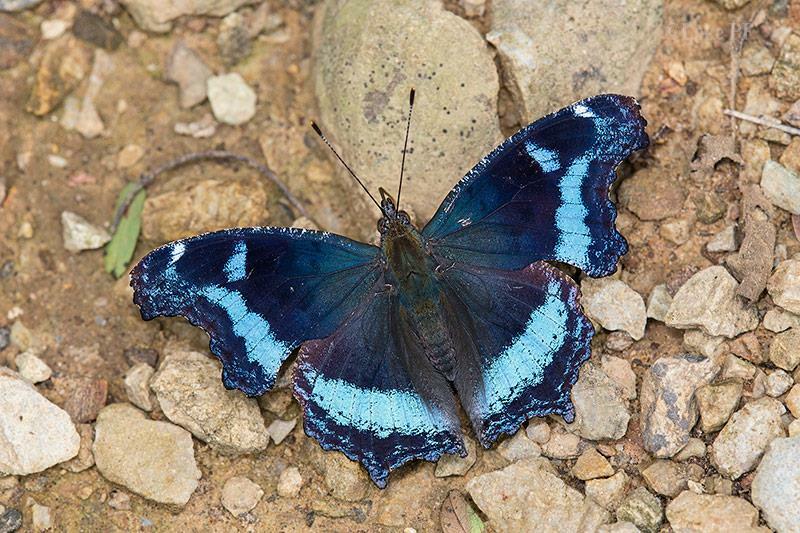 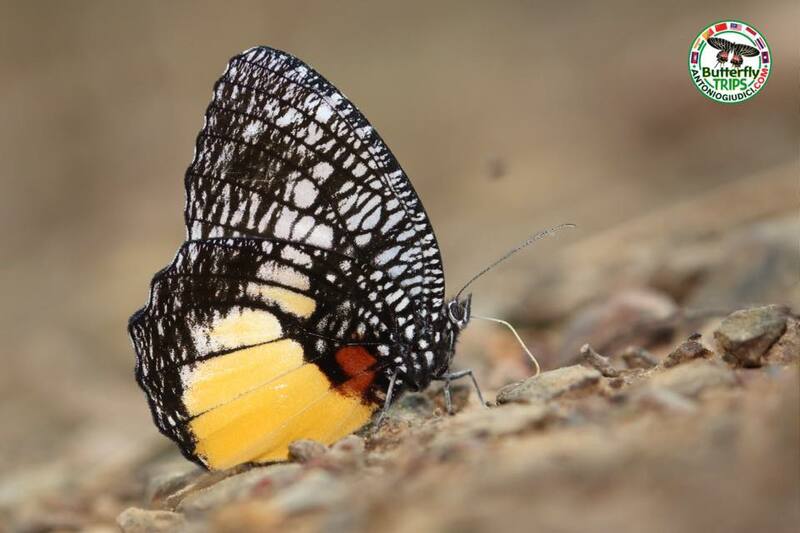 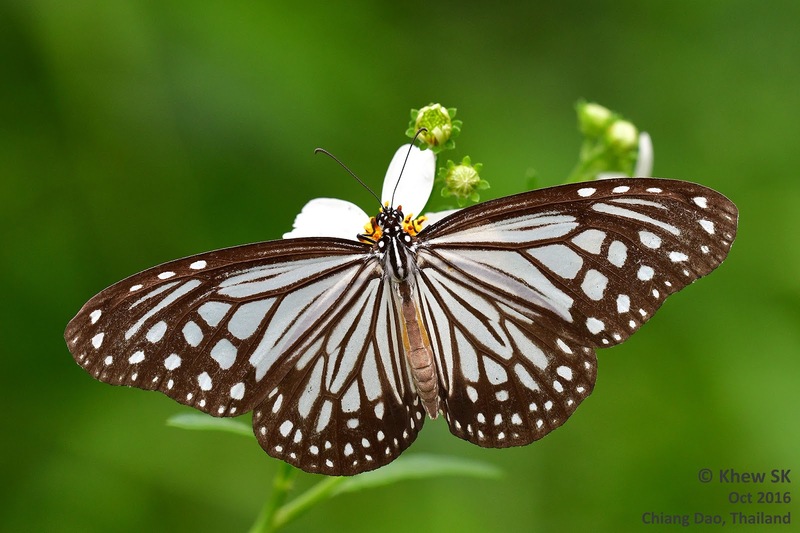 For those of you who intend to visit the Chiang Dao area, and be amazed by the butterfly diversity in northern Thailand, it is recommended that you contact Antonio through his website or FaceBook page. Butterfly watchers will not be disappointed by Antonio's friendly disposition and his wealth of knowledge about butterfly shooting locations, seasonality, specific habitats for certain species and local knowledge about Thailand. 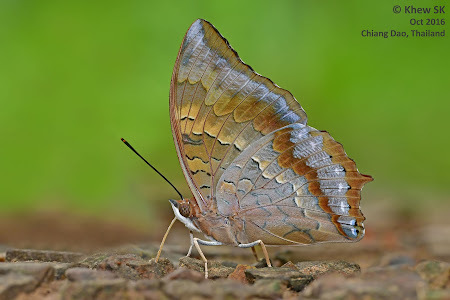 And for those of us who enjoyed Chiang Dao this year, we look forward to visiting Thailand for butterfly watching and photography again some time soon! Text by Khew SK : Photos by Antonio Giudici, Khew SK and Loke PF. Condolences : We would like to express our deepest condolences to all Thai citizens on the passing of your beloved King Bhumibol Adulyadej. 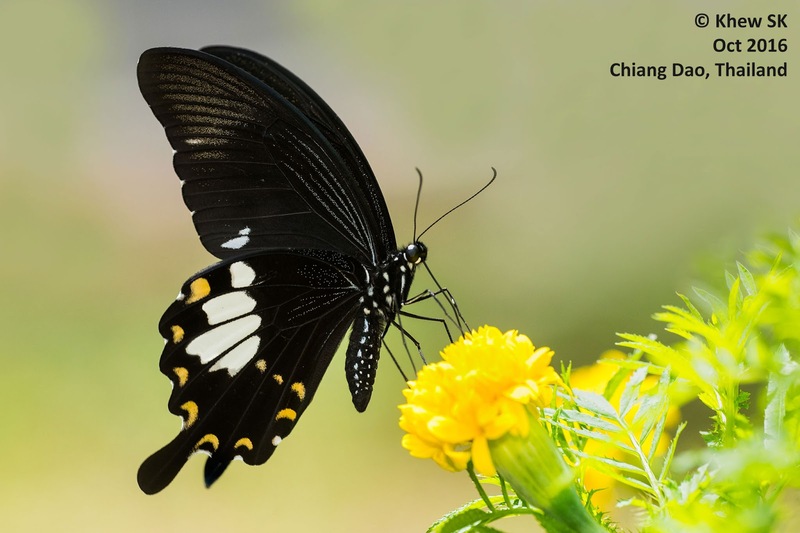 King Bhumibol was an outstanding and deeply revered monarch who worked tirelessly for the betterment of the Thai people. 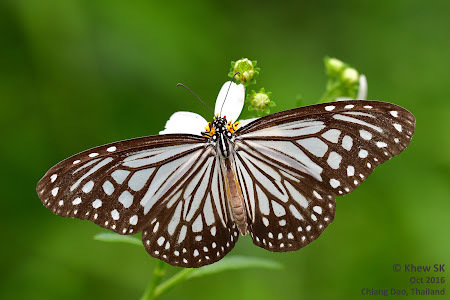 He is also responsible for the conservation of nature parks in Thailand.